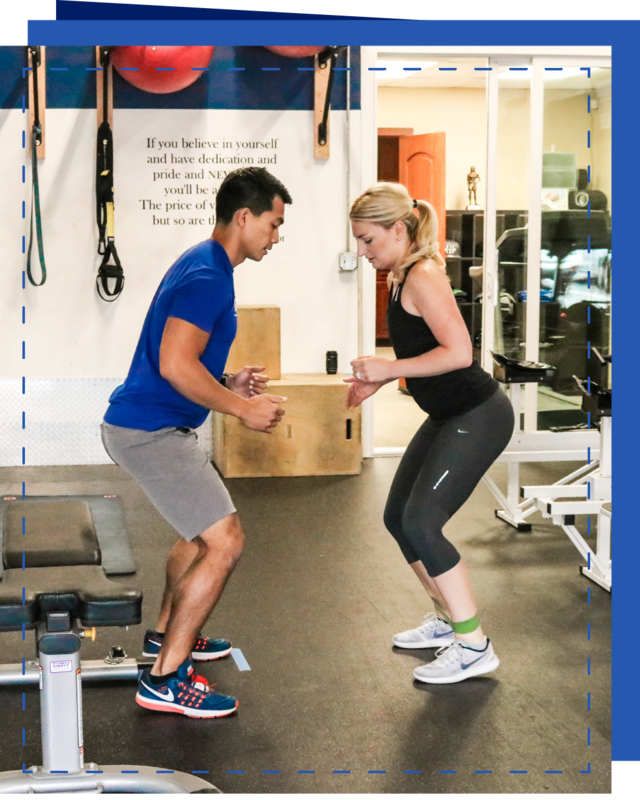 We discuss your goals, previous personal training, injuries and overall health – a complete and thorough health assessment – before we ever begin to consider how you can most effectively accomplish your goals. With the gold standard of body composition analysis methods, we can assess your biomarkers to understand your starting point. Learn about our body composition analysis services here. Everybody is unique, so are your exercise program and workouts. We believe they should be specific to the individual’s body type and goal. With your goal in mind, we will capitalize on your strengths and help you overcome weaknesses. We have a variety of program options available for you. We take a strategic and scientific approach to our programming so we can get you the best results. To lead you down a path to success, we will develop realistic incremental goals in your program. We will track your transformation with our hydrostatic body fat test. With progressive functional resistance training you will increase upper body, lower body and core strength. All of this is accomplished through the use of medicine balls, physioballs, balance boards, stability pads, etc. We are always working to improve muscular, functional, static and dynamic balance. Proper form is a major focus. Clients have been able to reduce or eliminate chronic conditions such as lower back and shoulder pain. All workouts are logged using our unique and custom tracking system. We carefully chart your progress so you know exactly where you are in your program. Please click below or contact us today to schedule a complimentary health consultation.